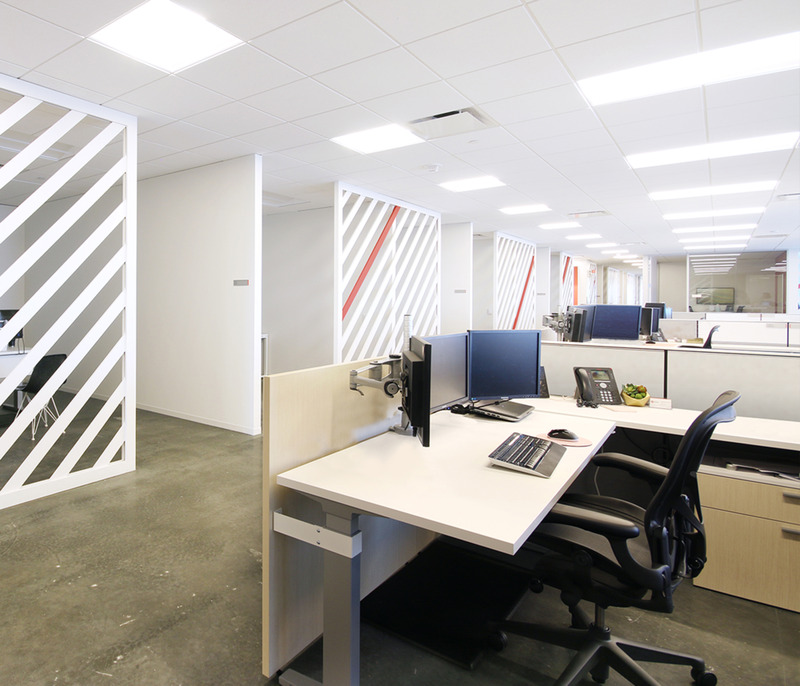 We are a company specializing in the design and delivery of tailored workspace solutions. It’s only right that we implement our deep understanding of dynamic workplace environments within our own studio. We employed our InsideOut approach and centered the office design around the individuals who make us – our employees. 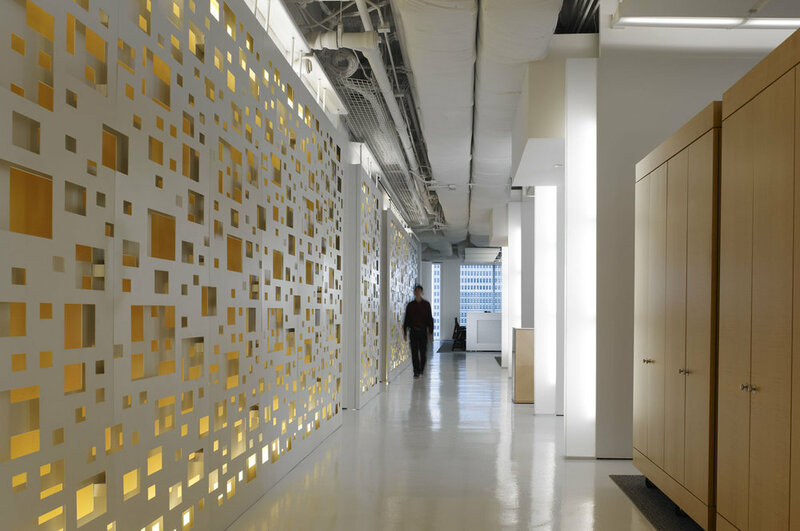 The office reflects our company’s brand and acts as a workplace laboratory. An open-concept environment fosters collaboration, increases employee engagement and promotes knowledge-sharing and learning. Business performance and productivity are elevated with state of the art technology solutions that facilitate worker mobility, connectivity and autonomy. Our office is Houston’s first LEED CI Platinum workplace and reflects our commitment to employee health and wellbeing. A diverse number of workspace settings – collaborative and individual, formal and informal, open and closed – are surrounded by full-height windows imbuing the space with daylight and enormous views and which are further maximized through the use of automatic computer-controlled louvered shades that respond to sunlight and seasonal changes.